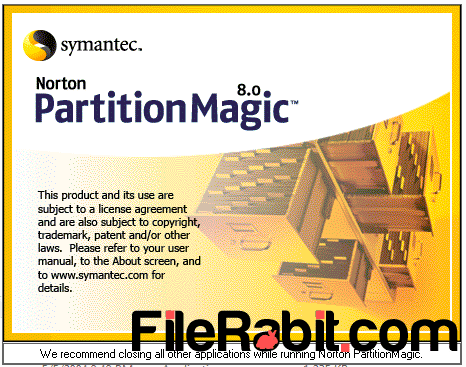 Norton Partition Magic is useful and most powerful hard disk drive management software released by Symantec. Simply, a doctor that can fix or repair bad sector based partition errors with ease and access. Bad sectors are always hurt user data, privacy as well as result in loss of money and time also. Dozens of partition management and organizing programs available in market but Norton’s PM is leading utility with simple interface. Norton PartitionMagic can create new partition, split, merge, resize, format and convert partitions between several file systems. It support FAT16, FAT32, NTFS, EXT2, EXT3 with covering quick, full and safe format functions. Furthermore, it can be used to create a backup of whole hard drive or specific hard disk drive as well. PMagic allows developers, entrepreneurs and server system operators to install multiple operating systems inside one computer. Having a clean and safe hard disk drive is always better than those HD that is rich with bad sectors. Previously we just share HDD Regenerator that is one of simple, fast and comprehensive bad sector removing program. However, a simple wizard will help you to create, resize, delete, merge or split partition easily. It will give more space with converting unpartition space into new partitions. Norton Partition Magic allows you to run multiple operating systems in one PC. It can be run though multiple sources including bootable CD, USB, diskette drive or run through program setup as well. Organizing a HDD/SSD can be easier where you can select your favorite operation. Many of users were facing partition table based errors in their hard drives, Partition Magic is able to automatically fix these partition table based errors.